The “journal club” is probably a long-standing educational tradition in most academic and perhaps some non-academic radiology practices. There are at least 2 major goals in the academic setting. The first is to stay up to date on new, important and/or controversial topics in the field and the second is to learn how to analyze the content of an article to assess its validity and potential utility to the practice of radiology.This analysis requires knowledge of hypothesis, methodology, research design, some basic statistics, results justification, and determination of the overall strength of conclusions. One assumes (hopes) that this knowledge will eventually be used by these training radiologists, when in practice, to maintain throughout their careers excellent “critical” reading skills in judging the quality and value of new articles in the imaging literature. 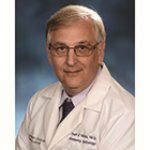 In the monthly journal club at the University of Maryland, the papers are chosen from major journals, and the conference is directed by Dr. Bill Olmsted, who has been the Editor-in-Chief of Radiographics for 22 years. A resident works with a faculty member in the field of specialization germane to the paper. The papers are made available online as PDFs. The resident does an initial review of the content of the article and an analysis of the technical aspects of the preparation. The assigned faculty member then presents his or her opinions regarding both the structure and conclusions of the article. Finally, the discussion is thrown open to all who are present and that’s when any semblance of decorum dissolves. I do not know if we are a particularly mean-spirited, aggressive or vengeful group, but we always seem to, I believe astutely, demolish most papers. Sure, there are a couple of papers that we praise for undertaking worthwhile investigations, using tight scientific methodology, applying appropriate statistics and reaching clear conclusions that in some manner “advance” the field. However, those are the exceptions. Most papers get “clubbed.” They are attacked for a variety of alleged errors. Ultimately, the summary judgment is “why was this published?” The fatal blows usually are based on things like unwarranted conclusions, lack of control of variables, inhomogeneous study groups, inadequate control groups, vague analysis of results, unclear conclusions, failure to include major relevant papers in the discussion,particularly those that cast doubt on the current authors’ conclusions. Most articles describe their weaknesses, but neglect several important ones. One of the most frequent comments is, “why do we care about this paper?” Not infrequently this question, in some form, is made for all 3or 4 articles discussed. So what’s going on? One may conclude that we are a bunch of narcissists given the power to trash others’ work without any direct negative consequences (that would apply to me perhaps). Maybe we are jealous of other radiologists’ getting their papers published, and we are acting out our hostility. Could it be that it’s just more interesting to the audience to be critical than praiseworthy—that is, bad news is more interesting than good news? Critical comments make the reviewer appear more erudite, expert, and influential. However, there is another possibility. Suppose the papers really are awful and deserve the negative reviews being appropriately leveled.Are our best, highly regarded journals full of “unworthy” articles? Even with my big mouth or careless pen, I would not jump to that conclusion, but there may be a factor inexorably pushing in that direction. There are approximately 170 journals written in English included in the Index Medicus. I do not know how many articles a year they need to fill their pages, but it’s got to be a great many.1 Journals distinguish the subspecialties, emphasizing the academic prowess of the members, and proving the special recognition within radiology they have earned. You must have a journal. Sometimes radiologists within a specialty have fundamental schisms, such as: Which group founded the society? What politics should the journal support? What kinds of articles should be published? Which group should represent a geographic area? And on it goes, leading to competing journals. These examples are easy to find. Thus, we wind up with a huge number of journals that need to be filled with articles each month or quarter to fulfill advertisers’ expectations, as well as of course, the readers’ expectations. There are lots of academic radiologists working towards promotion, and they generally strive for quantity over quality, even though these parameters are leveled by citation factors. One thing I was always told as I worked hard for promotion was that all papers get published somewhere. This is a rule I have seldom found to be false. So, maybe there are too many papers out there that find their way into “juried” journals, including the cream of the crop. Many of them can be resuscitated by good reviewers and editors, but many probably need to be shot. They have nothing worth saying, add nothing useful to practice (I am not talking about basic research papers; these have their own limitations, but lack of direct clinical application is not at issue), and essentially take up space. I wonder what things would be like if there were fewer journals and fewer articles. What if reviewers could raise their standards and only support truly excellent articles with meaningful results? Fewer high-quality papers would be just as important as raw numbers of papers toward promotion. Papers with good science and writing and real, applicable conclusions would be easier to find and not just by going to the journals with the highest impact factors — no guarantee of consistent high quality. Perhaps journals could have two or more tiers of scientific articles (like case reports and review articles are not as “important” as scientific papers, at least toward promotion; a belief that is also not necessarily true). Well, I have pontificated long enough on what is surely a “waste of space” editorially. I will probably never have a paper published in a major peer-reviewed journal again. Well, there is one very widely read journal, known for its practical information, that I can always fall back on. Ulrichs Web Global Services Directory 2014. Ulrichsweb.com. http://ulrichsweb.serialssolutions.com/login. Accessed February 15, 2014. Editorial: Do you drive a Lamborghini? Editorial: Journal clubbing. Appl Radiol.